When you initially walked into the kitchen and living area of this Lake Forest home, you found a color palette of outdated earth tones that felt heavy and not in-line with the beautiful backyard and pool area these spaces open to. 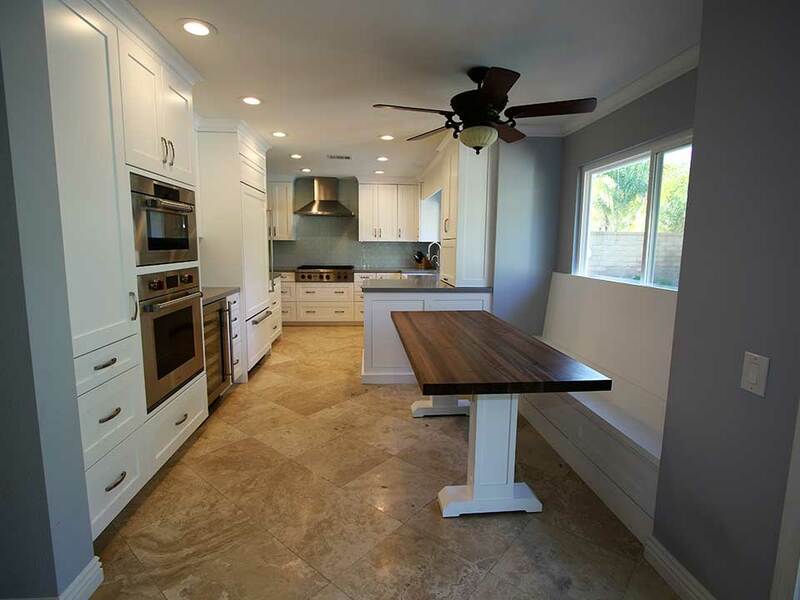 The medium tone oak cabinetry was placed alongside muted granite countertops, and the dining area felt cramped and oddly separated from the kitchen. 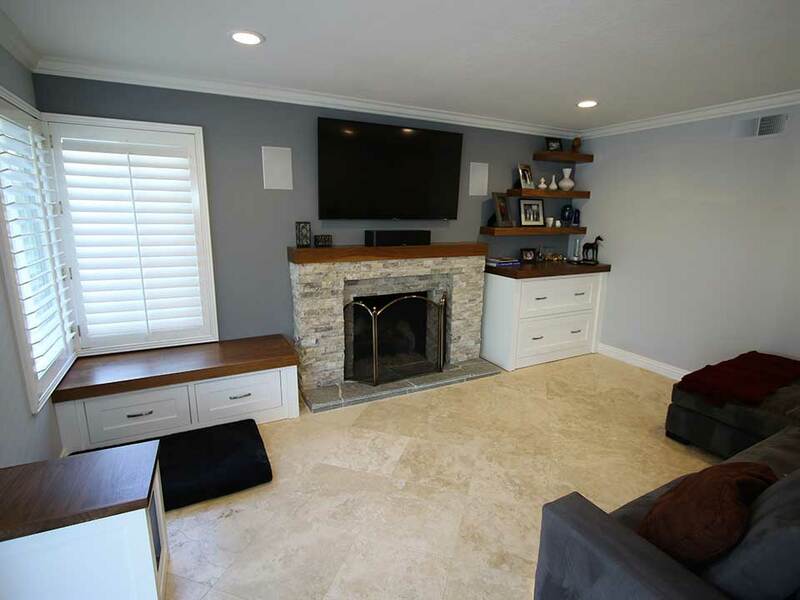 A big part of this design and remodel project centered around finding a way to improve the flow of the space and also to create a sense of cohesiveness and an updated design as you moved from the kitchen to the family room. 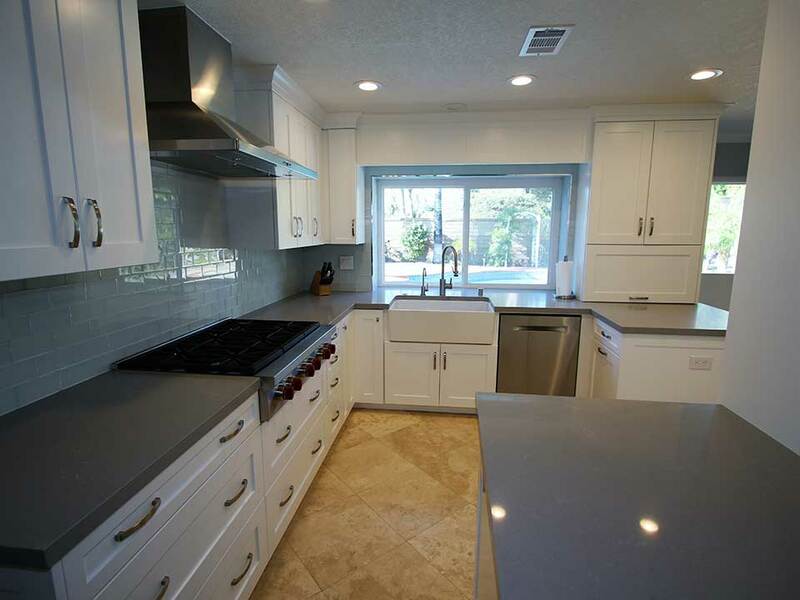 Pivotal to the transitional remodel in this Lake Forest home was the selection of cabinetry. 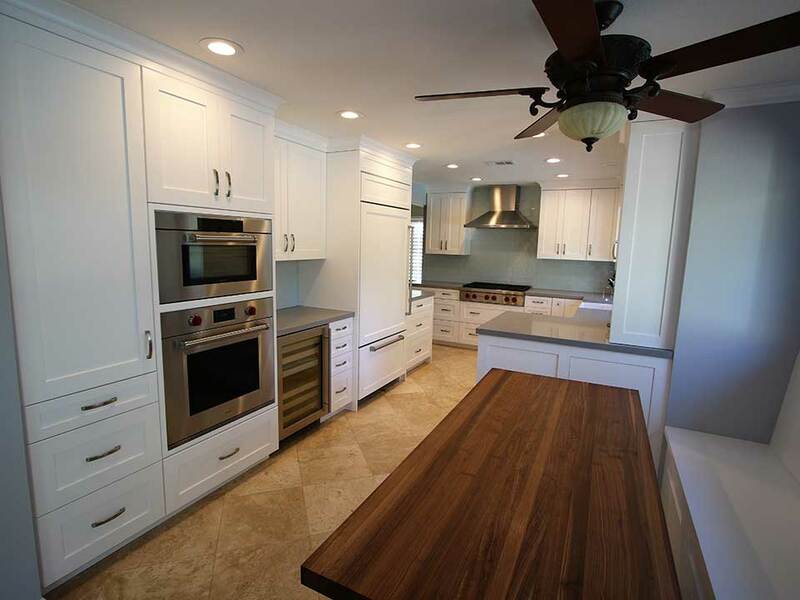 To brighten and modernize the kitchen, where the footprint went largely unchanged, we chose 3-inch Shaker cabinets in straight white. 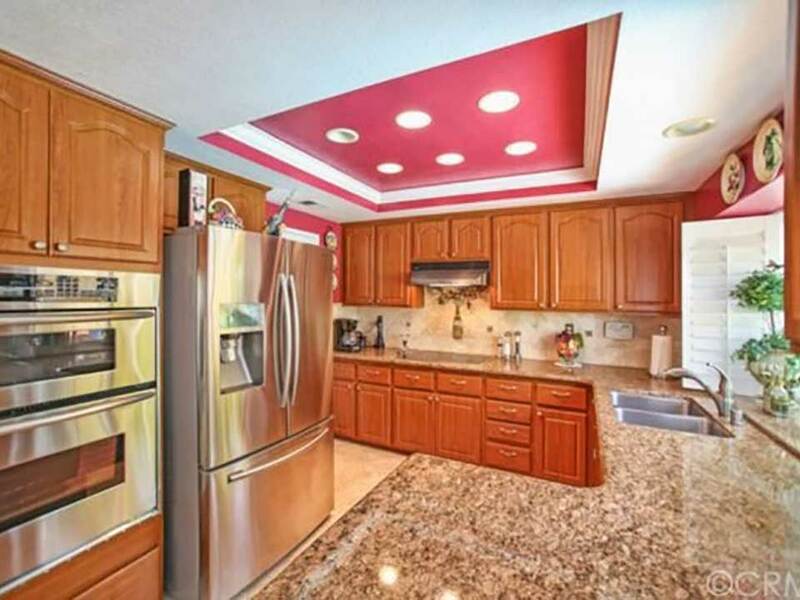 They feature solid maple doors, and unique customizations including a valance set over the sink, as well as hidden storage underneath the peninsula. Wainscotting detailing cleverly conceals these storage additions. We created a custom refrigerator door for a seamless design. There is also a custom microwave cabinet, so this small appliance is covertly out of view. The overall color palette in this kitchen remodel is gray and white. 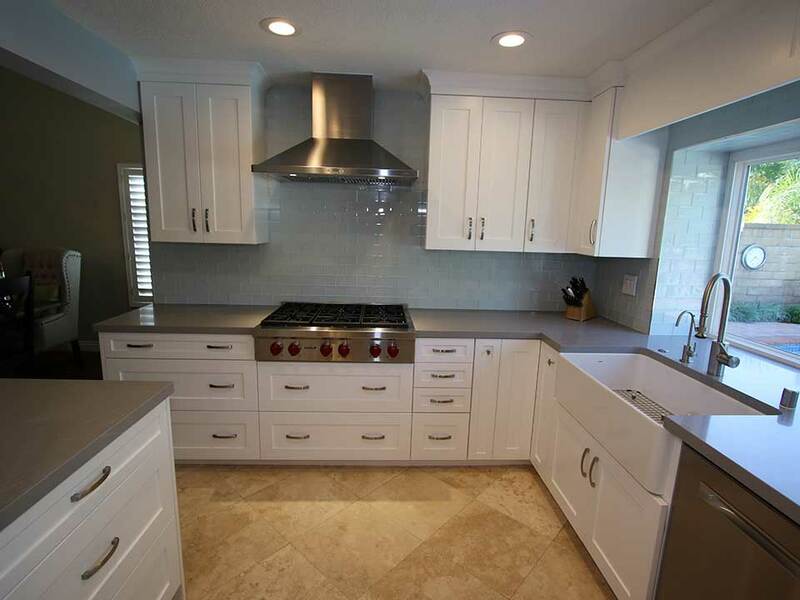 The stone kitchen countertops are polished Gray Savoie granite, and the profile is a 1 ½-inch square mitered profile. Paired with the gray square-edged countertops is a sleek, modern tile backsplash consisting of Eleganza Vetro tile in Snow White with gray grout. This glass tile is a premium selection, evoking stylishness, with a clean edge, subtle texturing and a very glossy finish. 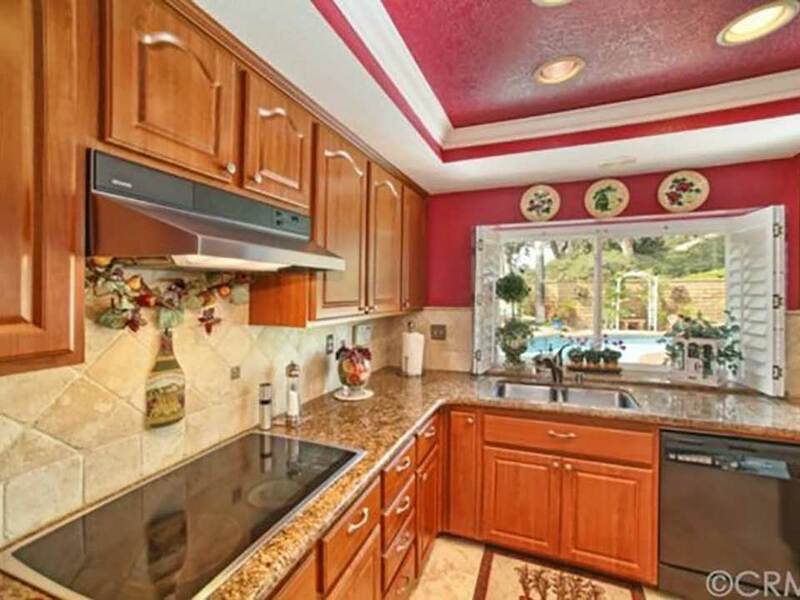 This tile is carried up to the ceiling behind the wall-mounted range hood. 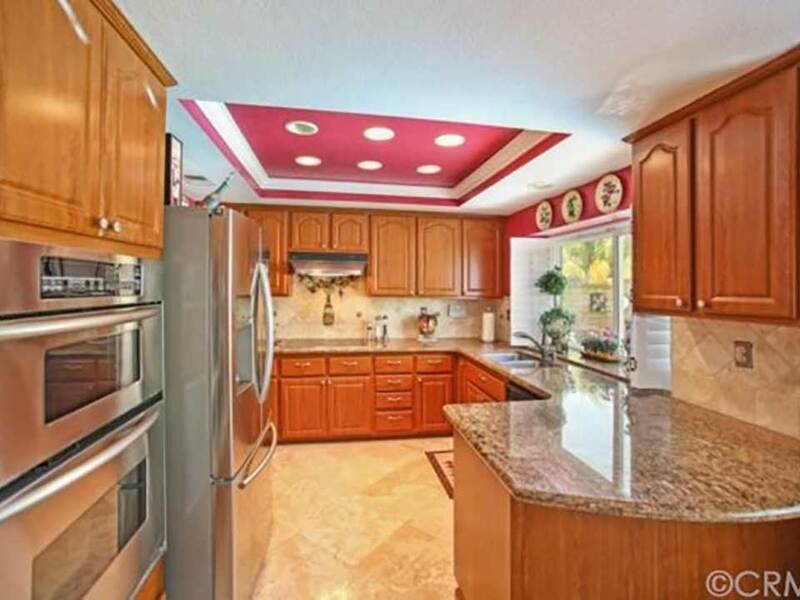 The appliances in the Lake Forest represent some of the finest available. The appliance package includes the eye-catching Zephyr wall-mounted stainless range hood, as well as a Wolf professional-quality convection steam oven. There’s a compact yet functional bar area between the refrigerator and the ovens, and this is where you’ll find not only additional countertop space and cabinet storage overhead but also the inclusion of a sleek 24-inch stainless steel wine cooler. The sink serves as not just a functional addition, but also a beautiful feature piece. The farmhouse sink is a Blanco Cerana 33-inch Fireclay Front Apron single design, and it’s set against a large window providing views of the backyard and pool. 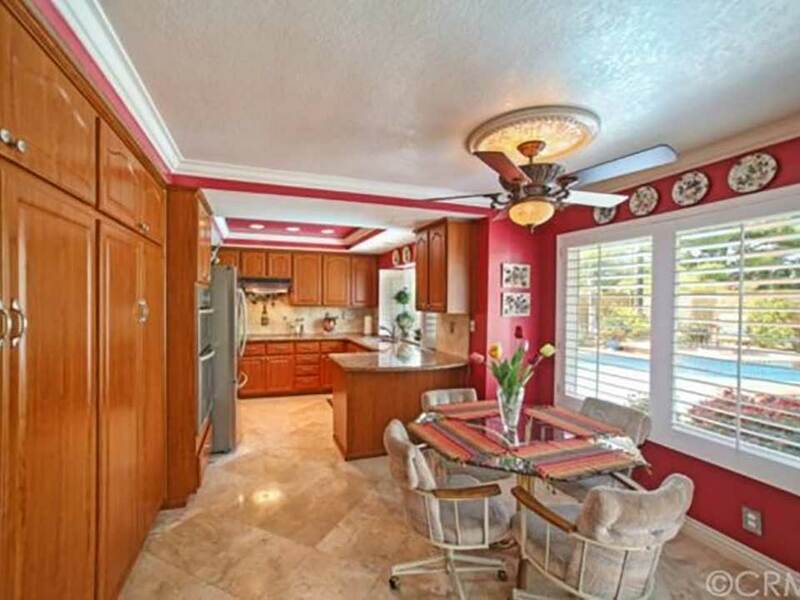 Directly adjacent to the kitchen is a stunning, custom dining space, where there was once a cramped and somewhat awkward area with minimal space to eat. What replaces that is a custom-designed and built banquette-style bench with a high back, paired with a butcher block dining table. The butcher block table was the creation of the homeowners and the designer, and the table top is solid, natural walnut with an oil-rubbed finish. The richness of the wood is an ideal pairing with the airiness of the rest of the kitchen design. To keep the design cohesive and flowing naturally, APlus Kitchen also revamped the homeowners’ family room. 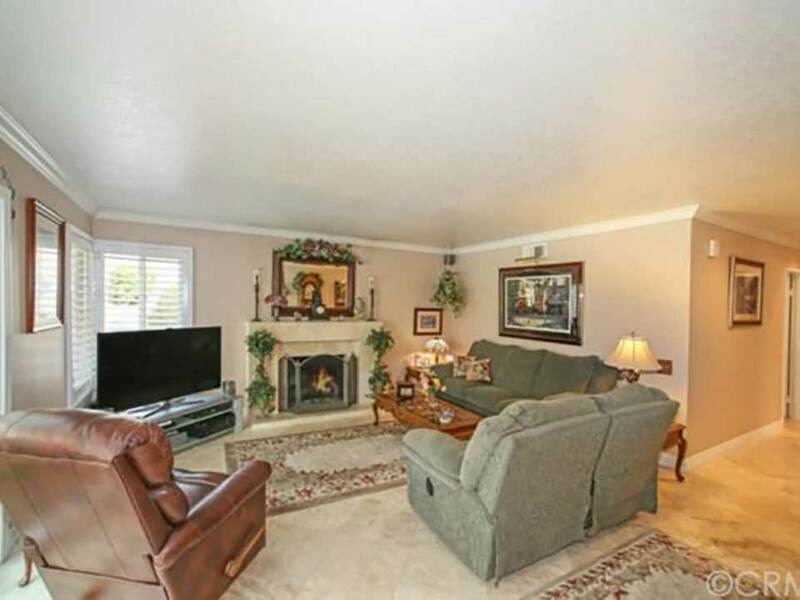 The walls were painted a modern shade of icy blue-grey, and custom cabinetry was installed to the right of the fireplace, which was also redesigned by the APlus team. The fireplace features a natural stacked stone façade and a floating mantel that matches the butcher block dining table. To the right of the fireplace are a combination of custom floating shelves and a built-in cabinet with spacious drawers for storage. Under the corner windows in the family room is a built-in seating area, again with a butcher block-inspired top, and additional drawer storage underneath. The ceiling feels high and open thanks to the recessed lighting, and large windows ensure plenty of natural light comes into the family room.